Cats see and hear sights and sounds that are beyond our perception. They experience the world in ways we can only imagine with their unique sense of taste, touch and smell. Catit Design Senses products are made with your cat in mind and designed to appeal to all of your cat's senses. 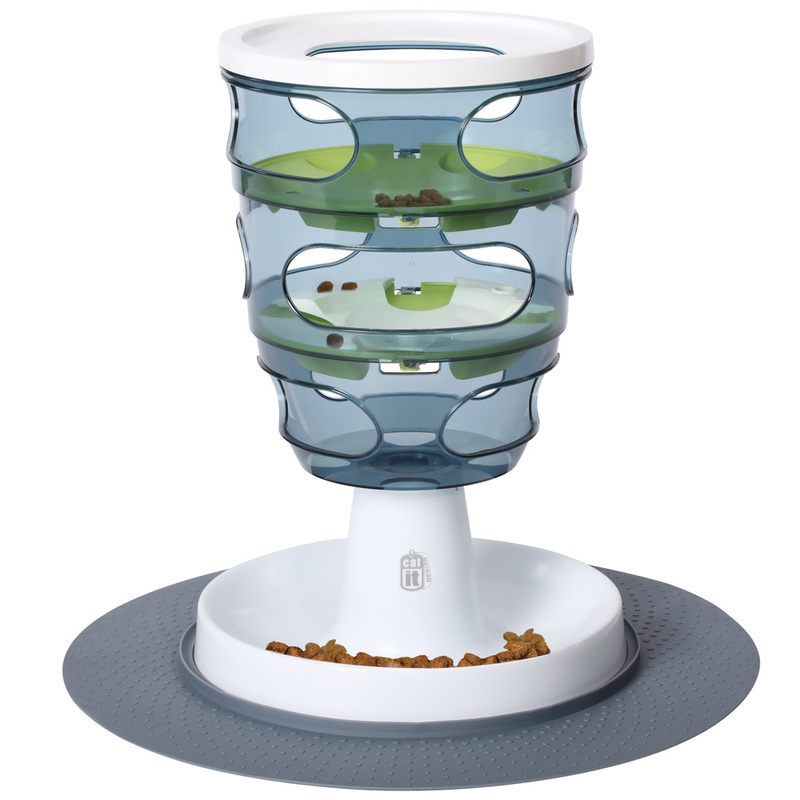 Catit Design Senses products can be used individually or combined together to create a complete Sensory Activity Center for your pet. The Catit Design Senses Food Maze is the smart way to feed your cat. The cat moves the food (or treats) through the maze by pawing at it through the side openings until it drops down to the food tray. 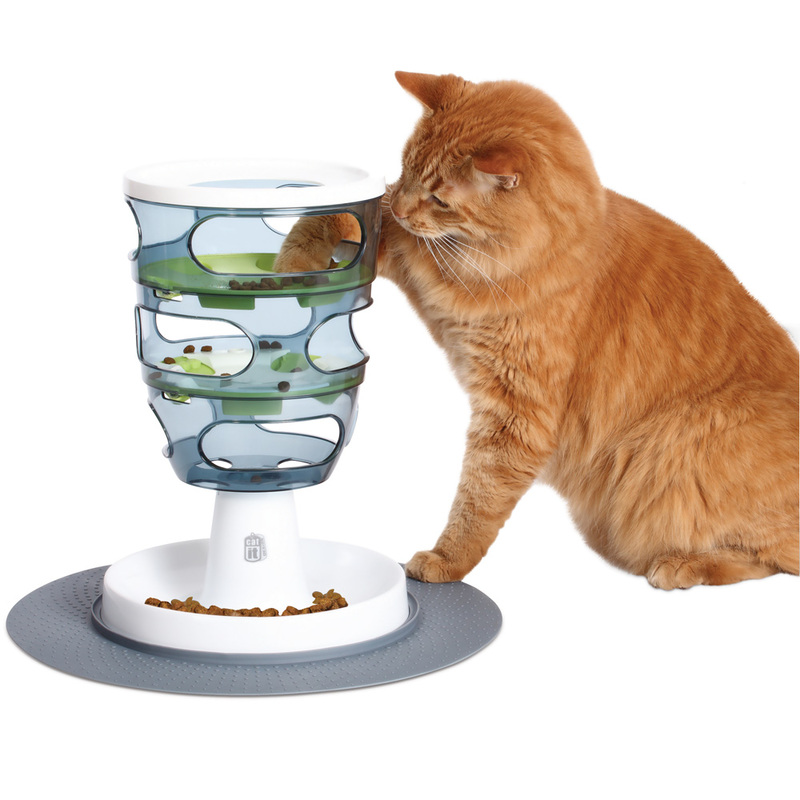 The Food Maze appeals to your cat's sense of touch and taste while encouraging mental and physical activity. By making your cat work for its food; and monitoring the amount of food added to the maze, the Food Maze can be a valuable tool to help with overeating or obesity problems. 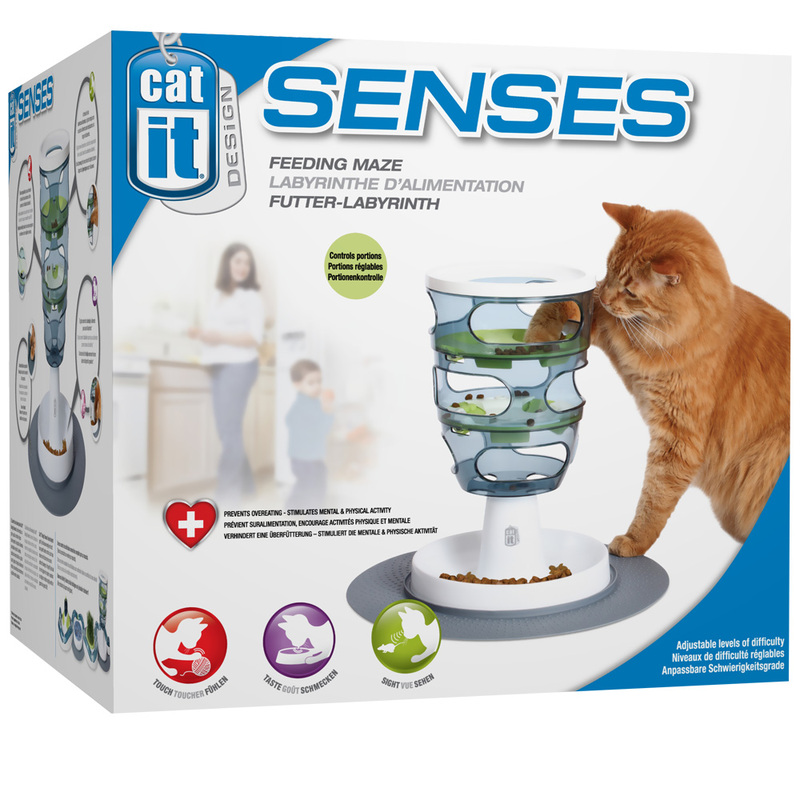 The Catit Design Sense Food Maze offer various levels of difficulty to challenge your cat's abilities.